Amy Shirk, Director, Band Classes, Strings Classes, AP Music Theory. Amy graduated from Ithaca College with a B.S. degree in Music Education. She taught at the Mohawk Valley School of Music in Utica, NY for four years before moving to Spotsylvania, VA. Amy has 24 years experience teaching both privately and in various schools in Fredericksburg, Spotsylvania, and Stafford, including Holy Cross Academy and Lafayette Upper Elementary School. In her spare time, Amy serves as the organist at The Presbyterian Church in Fredericksburg, Directs the Rappahannock Summer Music Camp in Spotsylvania, and homeschools her younger son, aged 16. Rana Strickland, Choral Groups, Music Theory. Rana is a veteran homeschool parent who has a B.A. from Mary Washington College with a double major in Music and in Elementary Education. She has taught many music, science, and enrichment classes in the homeschool community through other co-ops over the years, and currently teaches Chorus at GHC and private piano. 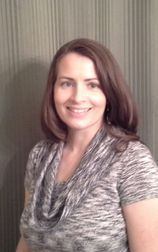 She has experience working with choirs and soloists throughout high school and college and in the homeschool community. Rana has taught Chorus at Grace Homeschool Co-op from 2007 to present, and FAYM Theory and Chorus classes from 2010 to present. Zach Ware has been a percussionist for 17 years. He has a degree in Music Education from Virginia Commonwealth University, where he studied with Peter Martin, Brian Jones, Billy Martin and John D’Earth. Zach has experience with a variety of musical styles; he has played with classical ensembles like the Rappahannock Pop Orchestra and the Mid-Atlantic Wind Symphony to more contemporary groups like the Fredericksburg Big Band, the Riverside Dinner Theater pit orchestra and his experimental jazz duo, blue jay. Zach loves all aspects of music and really loves teaching as well as learning. He teaches all levels and styles of percussion as well as music theory. Lane has taught privately in Richmond, VA and Garwood, NJ, including classical, jazz, rock, bluegrass, and acousitc solo genres. Currently, he teaches at the Forte Music Studios and Pickers Supply. He received a Bachelor of Arts in classical guitar performance from Virginia Commonwealth University, also the Berklee College of Music. Lane has performed in New York City in various locations, including the Knitting Factory. He currently freelances and performs in the Fredericksburg area. Elizabeth Kennedy, Piano Classes, Recorder, Elementary Music. Elizabeth, a veteran homeschool parent, has been teaching piano and voice lessons privately for over 20 years. She has directed children's choirs and numerous children's plays. 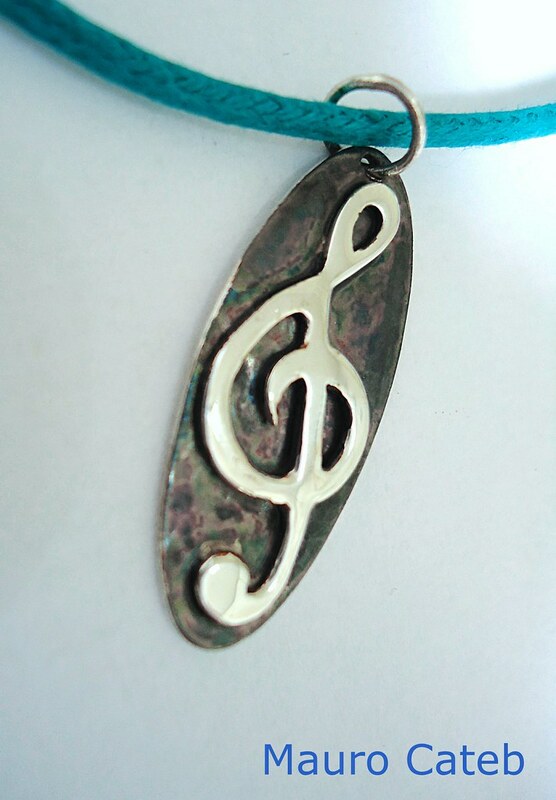 She has also encouraged many homeschooled families in music over the past 16 years. She has been teaching piano lessons at Faith Baptist Schools since 2013. She toured Europe as an Ambassador of Music for the state of Nebraska, performing in the choir and band. She also enjoyed playing in the Jazz Band at Mid-Plains College. She serves in the music ministry at her local church in piano instrumentation, choir, singing special music, and playing the clarinet in the orchestra. Damien Bollino, Band Class Brass Specialist, Music Theory. Damien earmed a Bachelor of Music in performance at West Virginia University, where he received a full tuition scholarship and studied with Dr. Virginia Thompson. He also studied with William (Bill) Caballero at Duquesne University. There he earned a Master of Music in performance/pedagogy and was awarded a John Hunter endowment and assistantship. He taught two years of musianship/theory at Duquesne and is an active clinician and adjudicator. He participated in the Duquesne Wind Symphony -- including a performance at Carnegie Hall -- as well as the Symphony Orchestra, Contemporary Ensemble and Chamber Ensemble. At WVU he performed with the Horn Choir, the Wind Symphony, Symphony Orchestra, Chamber Winds Ensemble and Jazz Band. Mr. Bollino also played with the International Horn Society Collegiate Horn Choir, Potomac Concert Band, Johnstown Symphony Orchestra, Seneca Chamber Winds and Arion Band. He has performed with the Mary Washington Orchestra, the Spotswood Community Orchestra. He participated in the Friday Morning Music Club Orchestra and the Fairfax Symphony. On various occasions he has taken part in performances at the Kennedy Center in Washington. Mr. Bollino is a member of the Mid-Atlantic Wind Symphony, St. George's Chamber Ensemble, Ars Nova Chamber Orchestra and the Rappahannock Pops Orchestra. He is principal horn with the Washington Sinfonietta and performs regularly with the Piedmont Symphony Orchestra. Mr. Bollino auditioned with performers from around the nation and was selected to play principal horn with the American Musical Ambassadors European Concert Tour. During six weeks with the tour, he took part in concerts in London, Paris, Milan, Venice, Belgium and other parts of Europe. "A favorite quote to sum up my philosophy," says Mr. Bollino, "is: 'In a moment of crisis, you will not rise to the challenge. Rather, you will default to your level of preparation.' I'm not sure who said it, but I love it." As a teacher, he adds: "I focus on simplicity and drill the fundamentals, because if you learn to master the instrument and everything it can do, making music with it is easy!" 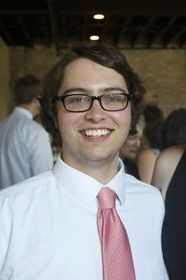 Luke Gray, Orchestra Assistant, Music Theory. Luke Gray, a FAYM alumni, is a multi-instrumentalist who specializes in violin, bass, and Chapman Stick. He has many years of teaching experience, having taught at such places as Creative Music Academy, Roberson’s Music, Forte Music Studios and Potomac Arts Academy, as well as various Spotsylvania and Stafford public schools. He is fluent in many styles of music including jazz, classical, country, and Celtic. He performs regularly as a Freelance Musician as well as occasionally with orchestras and bands, including Mary Washington Philharmonic, Rappahannock POPS, Riverside Dinner Theatre, Moch Pryderi, Fredericksburg Jazz Collective, and Christian Youth Theatre. His debut album, “Solid Yet Free” received a feature on Stick.com. Luke hopes to expand the musical horizons of his students with all things that are able to be achieved through music. Sara Speer, Band Assistant and Brass Specialist, Music Theory. 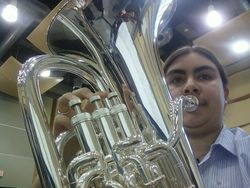 Sara earned a Bachelor of Music in Education from George Mason University, after studying euphonium with Roger Behrend (USN, retired) and Andrew Hitz (formerly of the Boston Brass). She has performed with the United States Navy Band, the Fredericksburg Community Concert Band, the Fairfax Wind Symphony, and currently performs with the Mid Atlantic Wind Symphony. Sara enjoys working with high school marching bands, looks forward to teaching at the Rappahannock Summer Music Camp, and has taught at the Fredericksburg Salvation Army School of Music. She teaches euphonium privately and substitute teaches in Stafford and King George.